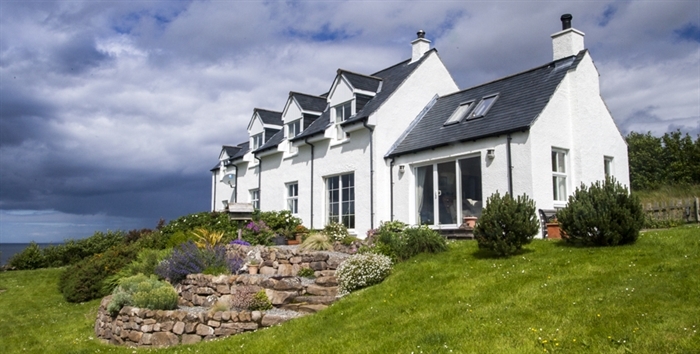 Tigh Ruaraidh is situated right on the coast, 7 miles north of Applecross village and looks out on spectacular views across the Inner Sound to Raasay, Skye and the Outer Hebrides. It is the perfect place for those wishing to escape the hurly-burly of modern life and relax in peace, solitude and luxury. For those interested in wildlife - otters are a common site in the sea and on the rocks below the house. For birdwatchers, you need never leave Tigh Ruaraidh as you never know what's going to fly in next. If you enjoy walking, there are wonderful walks in the area to suit all abilities and inclinations - from the more testing routes in the Torridon hills to a gentle stroll through the woodlands of the Applecross Estate - more birds, deer and Highland cattle. 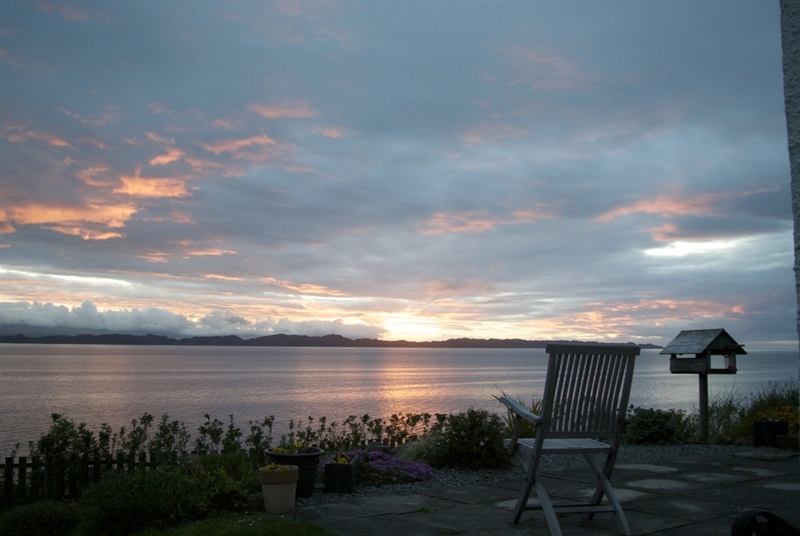 Golf is available on the delightful 9-hole Lochcarron course 28 miles away. 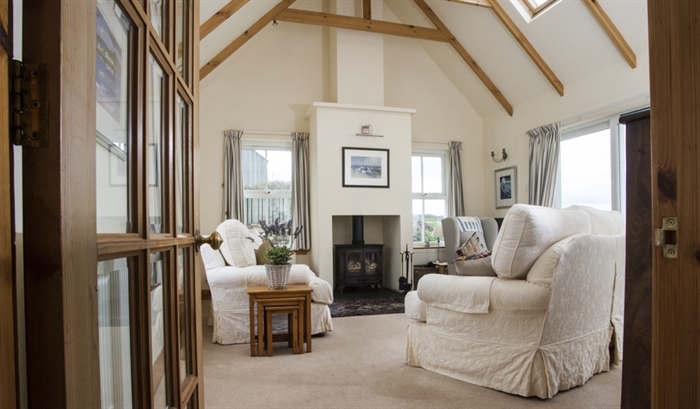 The house is ideally suited for 1-7 people. The perfect place for a romantic break, for families or a group of friends. The bedrooms are so arranged as to be completely separate from each group - a fact much appreciated by grandparents! Nearest sandy beach is 3 miles away. Village shop 9 miles and the famous Applecross Inn is 7 miles.. Eating out in Applecross : the Applecross Inn is nationally known for its food and hospitality as is The Potting Shed in the Walled Garden of Applecross House. Both establishments make use of fresh, local ingredients as far as possible and have gained praise from foodie writers for the outstanding quality of their food in such a remote area. For simpler meals, the Campsite also offers a selection of snacks throughout the day. We provide a telephone access and payment is on an honesty basis.